TEHRAN- Iran and France took another step to boost cooperation in different fields of economy by signing five agreements at the end of a business forum in Tehran on Tuesday. The agreements, signed at the place of the Iran Chamber of Commerce, Industries, Mines and Agriculture (ICCIMA), included cooperation on developing Mashhad International Airport, establishing a bioethanol plant, expanding fish farms, and holding pilot training courses in Iran. 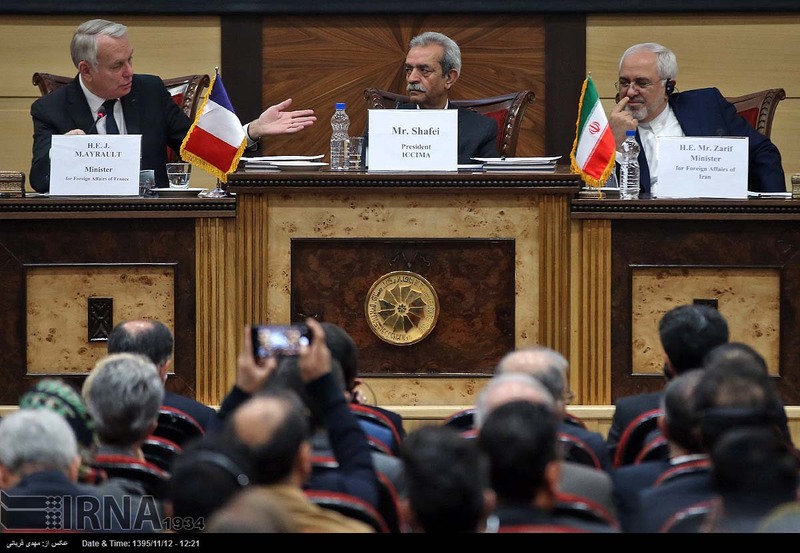 French Foreign Minister Jean-Marc Ayrault, his Iranian counterpart Mohammad Javad Zarif, and ICCIMA Chairman Gholam-Hossein Shafeie attended the signing ceremony. Ayrault was accompanied by 100 delegates including some top officials from well-known companies such as Airbus, Alstom, and Total as well as several representatives from French companies active in metallurgy, construction, banking, information technology (IT), steel industry and etc. 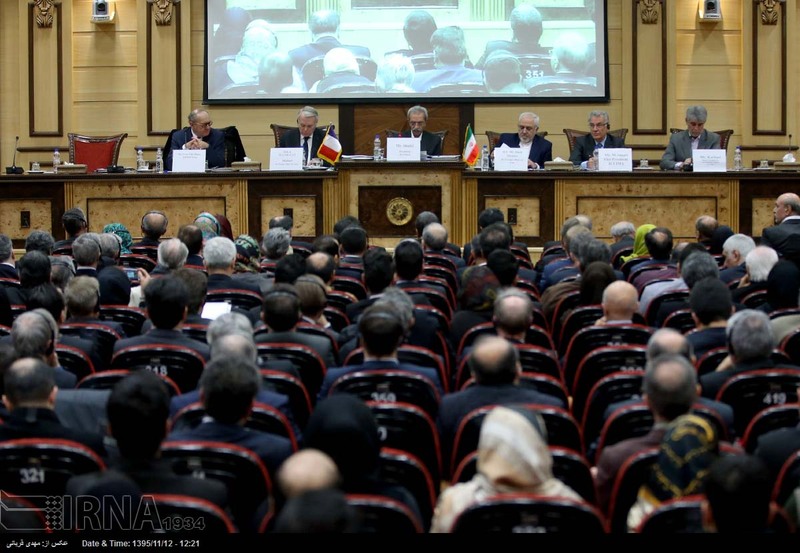 Some 250 Iranian private sector's entrepreneurs took part in the forum, too. During the past year, economic ties and collaboration between the two sides has witnessed a 200-percent increase, the French foreign minister said during the forum. Underlining the positive impact of Iran's sanctions' removal on enhancement of Frances ties in the past year with Iran, Ayrault voiced his country's readiness to transfer knowledge and provide technical and engineering services for Iran's renewable energy sector, and implement various projects including those in railway transportation and those for expansion of ports in the Islamic Republic. 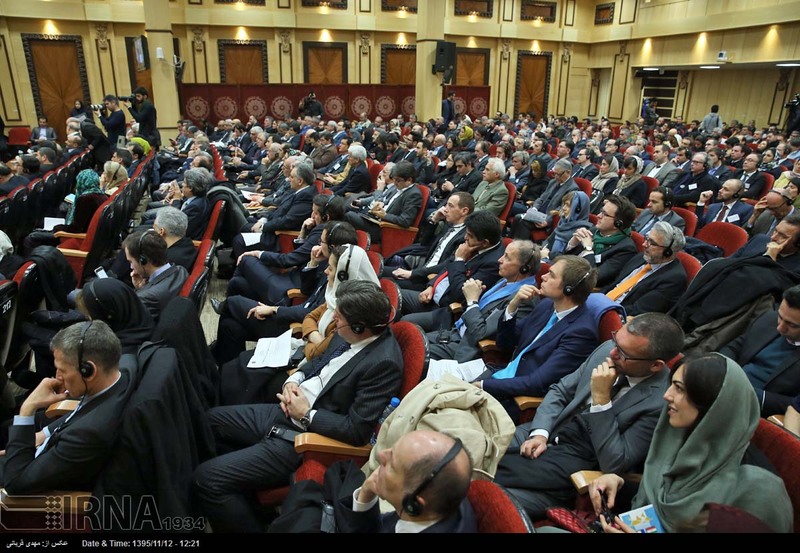 Iran-France business forum is a turning point in the two countries' economic relations, he asserted. The Iranian foreign minister, for his part, vowed that his ministry will pave the way for development of bilateral ties between Iran and France, adding that Iran-France bilateral trade stood at �1.7 billion during January-November 2016, becoming three-folded, compared to the same period in 2015. He, however, did not express content about the current trade volume saying that it does not accord with the two countries' potentials. As ICCIMA head said, both sides believe in removing impediments on development of mutual banking ties as the most significant factor in improvement of Iran-France trade bonds. 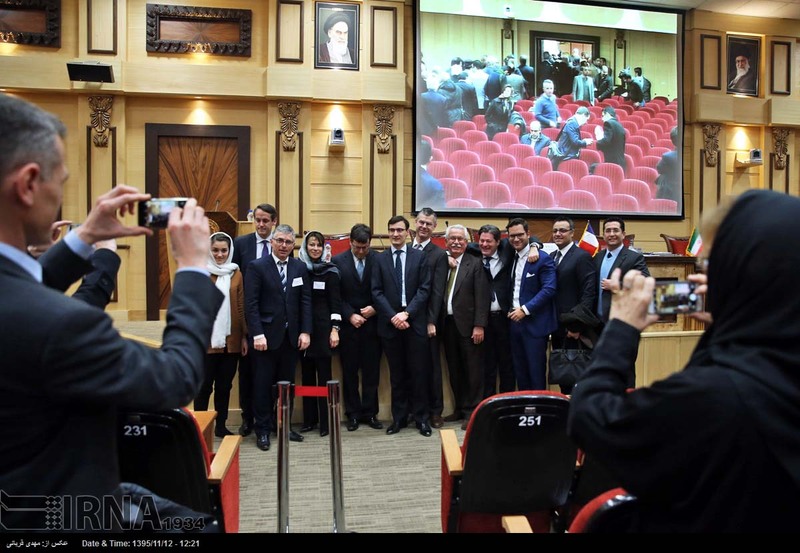 "Iranian and French companies can cooperate in various sectors namely infrastructure, construction, medicine, medical instruments, transportation, environment, etc," he added.